Rush: The Making of A Farewell to Kings graphic novel from FANTOONS coming in September, now available for pre-order. Details here. Alex Lifeson to perform at concert fundraiser for the West End Phoenix community newspaper May 31st. Details, tickets here. Geddy Lee performs with Claypool Lennon Delirium at Danforth Music Hall in Toronto. Details, video here. Don Felder's American Rock 'N' Roll featuring Alex Lifeson now available. Details here. Rush cover feature in latest Planet Rock magazine featuring a new interview with Alex Lifeson. Details here. The Mute Gods' new album Atheists and Believers featuring Alex Lifeson on the track One Day now available. Details, video and more here. New book Rush: Wandering the Face of the Earth: The Official Touring History coming in October, now available for pre-order. Details here. Geddy Lee's Big Beautiful Book of Bass now available for purchase! Details, book signings, interviews, limited editions, and more here. Listen to John Mayall's Evil and Here to Stay featuring Alex Lifeson from his new Nobody Told Me album, now available for purchase. Details, preview audio and more here. Rush Hemispheres 40th anniversary box set released, now available for purchase. Details, interviews, contests and more here. Alex Lifeson performs with Andy Kim, Tom Cochrane, Kim Mitchell and others at Andy Kim Christmas show, including Battle Scar with Kim Mitchell. Details, photos, videos and more here. 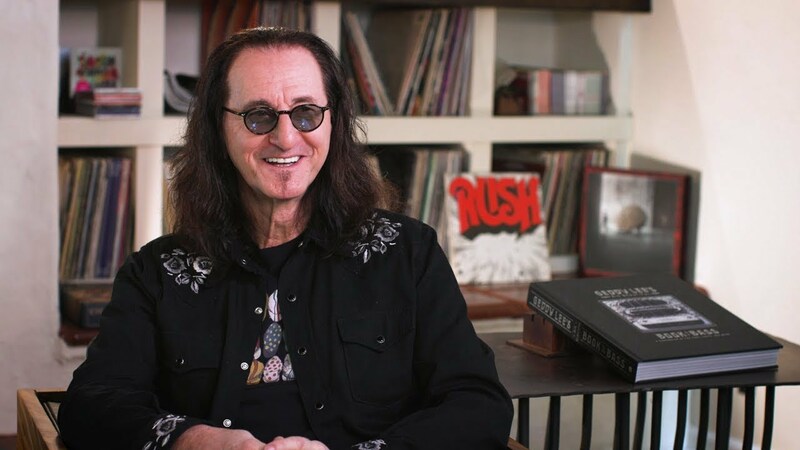 "I've always thought that Rush's music lent itself to theatrical reproduction, especially the concept albums such as 2112, or Clockwork Angels," Lee points out. "The stories have a lot of potential, in terms of staging and imaginative scenery, and they're really tailor-made for that, so I'd love to see that happen sometime." You can read excerpts from the interview online at this location and watch the entire 9-minute interview below or on YouTube.